Though the Sea Beach of Andhra Pradesh is more than 4 hours from Hyderabad, India, the city is known for its pearls thanks to the Nizam and Qutb Shahi rulers’ great fondness for these rare jewels. Today, this metropolis of more than 8 million, is home to Google’s India headquarters and the Golconda Fort, one of India’s many architectural wonders. This is the place Vivek Prayakarao (’17 MEng, Robotics), a systems engineer at Uber Advanced Technologies Group, was raised. And this is where his interest in mathematics and computer science was nurtured. “I was always attracted to subjects that drew upon one’s analytical abilities. I was inspired to work hard and to learn,” he recalls. In 2011, Prayakarao’s efforts paid off when he entered the Indian Institute of Technology’s (Jodhpur) Systems Science undergraduate program. The interdisciplinary curriculum at IIT enabled him to engage in a diverse blend of courses from various fields of science and engineering like computer science, electrical engineering and mechanical engineering. This propelled Prayakarao to develop a holistic view towards the field of engineering, its applications in the real world and an interest in robotics. 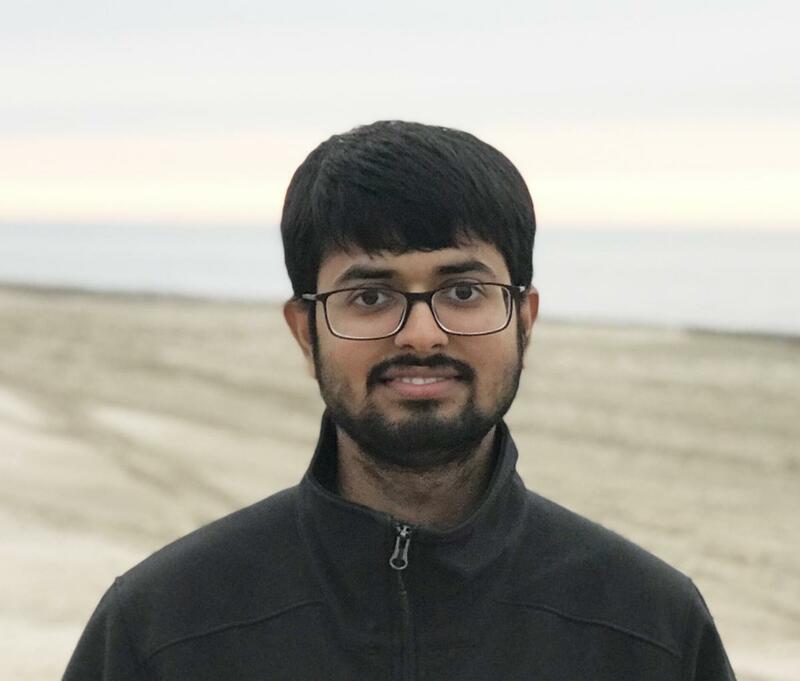 Prayakarao sat down with us recently to discuss his experiences as an international graduate student and the job search that followed. When you came wanted to study in U.S. what were your perceptions? Expectations? As I was planning to study in the U.S., I had some idea what it would be like. It appeared that the U.S. educational system is highly engineered by design. If a certain aspect of education is deemed important, the basic response seems to be ‘lets add it into our program’. In my area, this mindset seemed to lead to the development of specialized programs in the fields of robotics and systems engineering. Also, the U.S. education system provides an opportunity for students to gain practical knowledge in addition to the academic coursework undertaken. And I was looking forward to this kind of an experience. I also wanted to study and work in a highly collaborative environment where new ideas would be truly valued. As well, I hoped to gain exposure to exciting new technologies, and obtain hands-on experience working with them in addition to the typical coursework. How is your field perceived in your home country? Why did you come and study in the US? What are challenges and opportunities? Systems Engineering is not a very common discipline in India. When I started pursuing this field, it was not well understood. But that has been changing. These days there is more emphasis on developing interdisciplinary coursework and academic institutions have started to realize the importance of systems thinking and a systems approach to solve highly complex engineering problems. My main motivation in coming to the United States was the very nature of graduate programs-–namely, having access to excellent infrastructural facilities and research opportunities. I was sure that the stimulating academic environment and interaction with the distinguished faculty at UMD would prove immensely fruitful and facilitate my development as an individual, and as a professional. How did you prepare for your job search? I always felt that there are two important components to a job search. Identifying the company/role that you want to work for/with. Preparing yourself for the job interview. Along these lines, first, I was very clear about the type of industry and the job/career I wanted to pursue. I had shortlisted my dream companies and was very targeted in terms of applying to specific roles within these companies. I made sure that the positions I focused on were unique in terms of the specific skill set companies were looking for. It was very important to distinguish myself from the rest of the candidates who applied for the same position. I prepared cover letters specifically for those roles, and made sure that they would serve to differentiate my job application. The second step in my job search was the preparation for the job interview. I did thorough research on each company and their interview process. I made sure I was technically very sound in the skills that they desired in a particular role and practiced interviewing. I prepared well ahead of the coding interviews through online platforms like Hacker Rank and LeetCode. I made sure I thoroughly reviewed all of the concepts that I learned in my academic coursework, and the projects I worked on. This preparation helped me present myself confidently in front of the interviewer. What experiences as a graduate student (beyond your research/academic work) contributed to finding a position at Uber? As a graduate student, I was involved in the Autonomous Micro Air Vehicle Student Design Challenge. We worked on the development of a 500-gram Vision-based Autonomous Quadrotor Vehicle Capable of Indoor Navigation and that helped me apply the knowledge gained through coursework to a real-world application. Working on this project gave me an opportunity to represent UMD in the competition organized by the American Helicopter Society (AHS) in Florida. This experience then helped me gain an internship during the summer. During my internship at Axle Informatics, LLC, I continued to work in the field of autonomous drones and gained good industry exposure in terms of working on new and exciting projects. I also learned a lot about working on a team, and collaborating with other people to accomplish personal/professional and shared goals. All of these experiences helped me gain a unique skill set and had a great impact on my job search. What does networking mean in your home country? What was your experience here? Networking in India country mostly involved attending conferences and meeting industry partners. I felt that there were lot more networking opportunities in the U.S. just because of the sheer number of technology companies and research in the U.S. There were a lot more opportunities here to engage with industry, and understand the challenges presented by real-world problems. As an international person, I got a chance to meet diverse people, and gain a great understanding of how people from other countries or cultures work. I mostly used professional networks like LinkedIn and job search portals like Indeed for my job search. They worked well as I was able to connect to recruiters. It also helped me be on constant lookout for the roles that I was interested in. I also attended career fairs and applied through the university career portal but that didn’t seem to work very well as an international student. Most of the opportunities through the university career portal were specific to U.S. citizens and did not further my needs as an international graduate student. Does an Uber systems engineer have a specialized skill set? If yes, what are they? Uber ATG is the Pittsburgh R&D hub of Uber’s engineering team dedicated to self-driving technologies, mapping, and vehicle safety. This team is responsible for developing long-term technologies that advance Uber’s mission of bringing safe, reliable transportation to everyone, everywhere. The role of a systems engineer at Uber ATG is to help organize and drive the complex testing strategy and activities across the organization. Systems engineers are required to demonstrate the ability to obtain requirements, manage change control and develop systems level V&V requirements. Broad experience in the following fields are desirable for this particular role: systems engineering and architecture, product development, robotics, automotive, computer simulation testing and project management. How did you work on your resume? Initial guidance on my resume was given by the Engineering and Career/Co-op Services at UMD. They provided resume critiques and suggestions on how to improve it. Also, I contacted few of my upper level colleagues for some advice on how to improve my resume. Career aspirations? What do you hope to do long term? My long term career aspiration is to be a thoughtful leader, and contribute to the technologies that touch people’s lives in a fundamental way. I want to continue working on safe and reliable technologies that will have a great impact on society. How is a U.S. work experience or education perceived in your home country? U.S. work experience and education are very highly regarded in my home country. There is a lot of trust in the U.S. educational system and companies are always looking to hire people with advanced degrees and professional experience in the United States. Also, many of the elite academic institutions in India have a bar of hiring faculty with an advanced degree/research experience in a U.S. university. What was the interview/application process like? Any surprises? After submitting an application on Uber’s career page, a recruiter reviewed my resume and reached out to me to schedule a short phone call. During this call they asked me to describe my technical experience and why I was interested in the position that I had applied for. They also wanted to get a better sense of what I was looking for in a technical role. If the opportunity seems like a good fit for both my career goals and their needs, they schedule a technical phone screen with an engineer or engineering manager on the team. If all goes well, they invite the prospective employee for an on-site interview. In my case, the on-site interview involved four rounds of inquiry which focused on technical knowledge, behavioral and company fit aspects. There were no surprises as I received detailed communication from the recruiter during each stage of the interview process. How do you continue networking? I continue networking locally and globally by using professional networks like LinkedIn. Also, I take part in the various recruiting events/tech talks organized by Uber at various universities and get to interact with aspiring engineers. What do you think your culture and/or mindset (or approach, if such differences exists) can add to your work? The culture in India is very diverse and this has helped me not only to become sensitive to other cultures, but also to have a greater understanding of how people within different groups actually function at work. Being cognizant of this in today's global economy is a major benefit. As a result, I have been able to collaborate with colleagues from other countries and diverse backgrounds and my background provided me with strong foundation in working with others. A lot of young people appear deeply interested in global social issues (equity, social justice and diversity for example) and I wonder if you have those interests as they pertain to your work? Yes, I am deeply interested in global social issues like diversity and I volunteer and organize events as part of Uber’s Employee Resource Group. Any advice to other international graduate students? More information about Vivek Prayakarao can be found here.